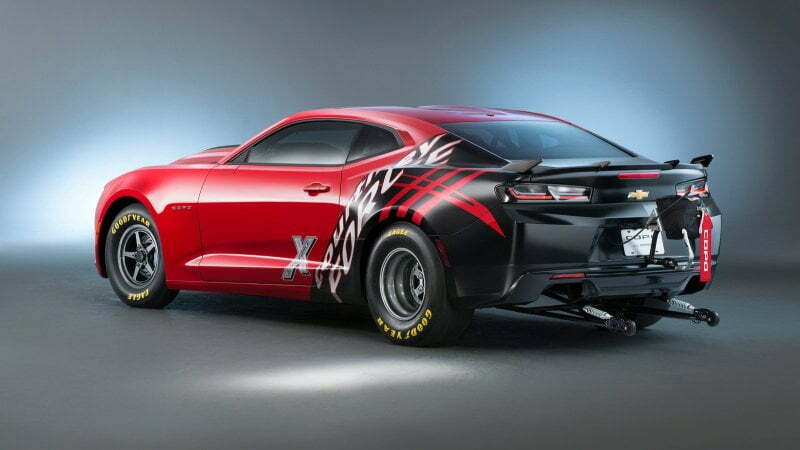 This week at SEMA 2015, Chevrolet unveiled its latest limited production drag race car, the Generation Six COPO Camaro. 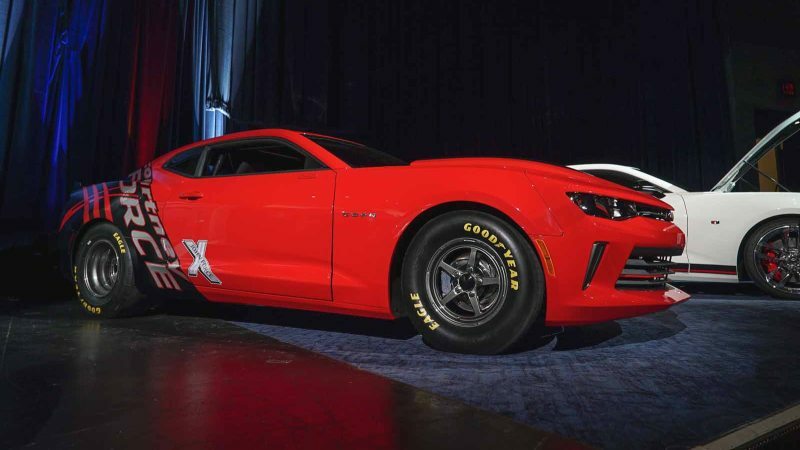 Taking forward the legacy that began in 2012 with a fifth generation Camaro, Chevy will build only 69 COPO Camaro race cars for 2016. 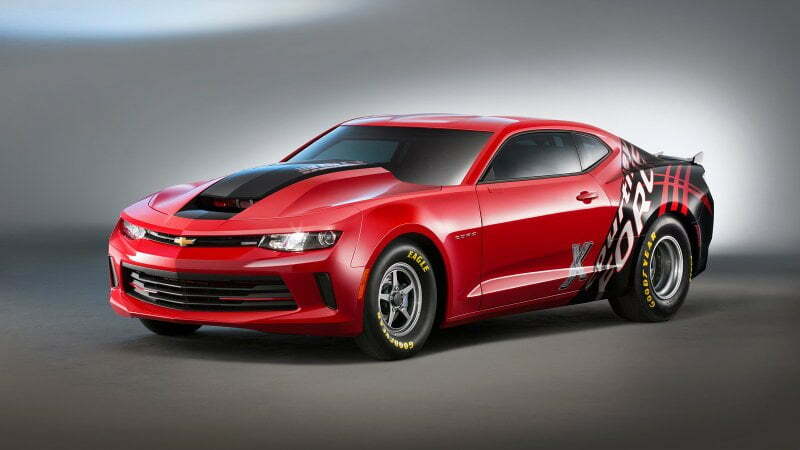 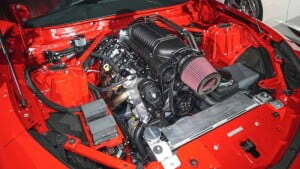 Under the carbon fiber high-rise hood, the COPO Camaro carries naturally aspirated 350 cubic-inch supercharged V8 and its design is based on the new six generation Camaro. 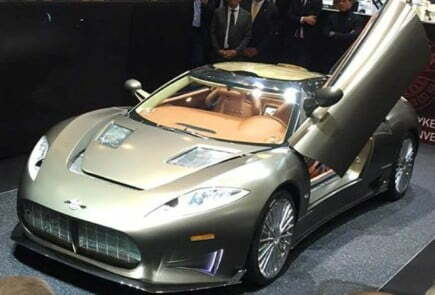 In order to get better aerodynamic performance during drag race, this car is engineered lighter, stronger and sleeker with the help of complex computer aided engineering. 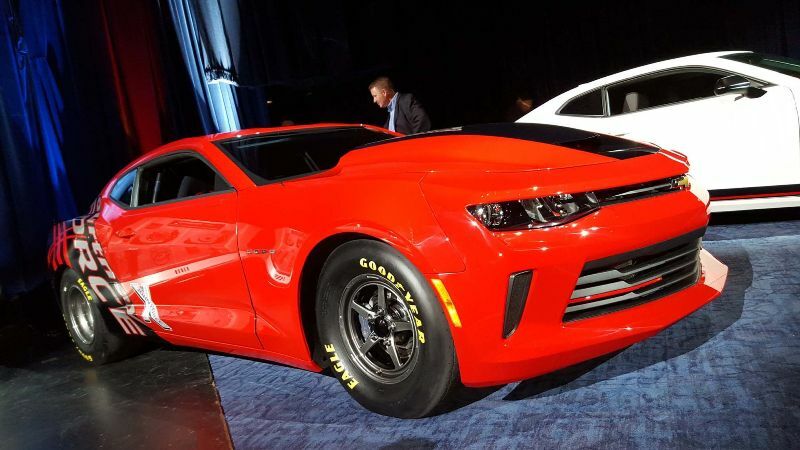 Chevy claims that this complex engineering analysis helped to increase car structural rigidity by 28 percent and managed to reduce curb weight by 60.5kg. 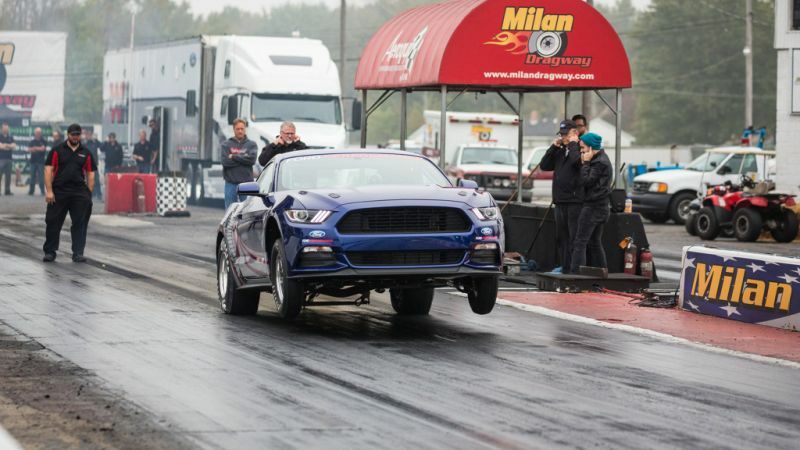 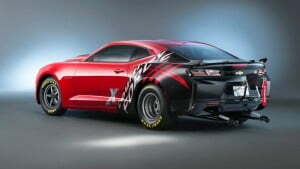 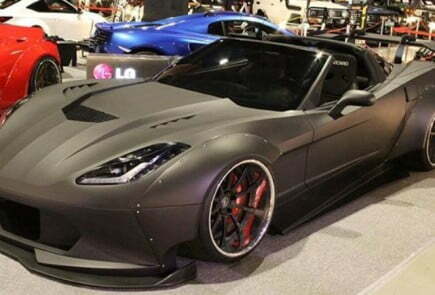 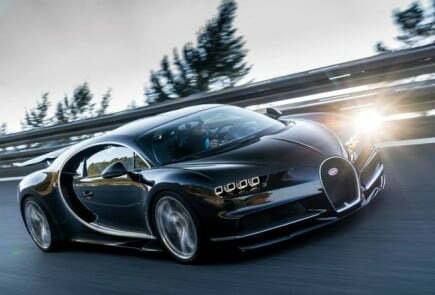 The light weight, greater structural rigidity and sleeker design mean this car has an edge while drag racing. 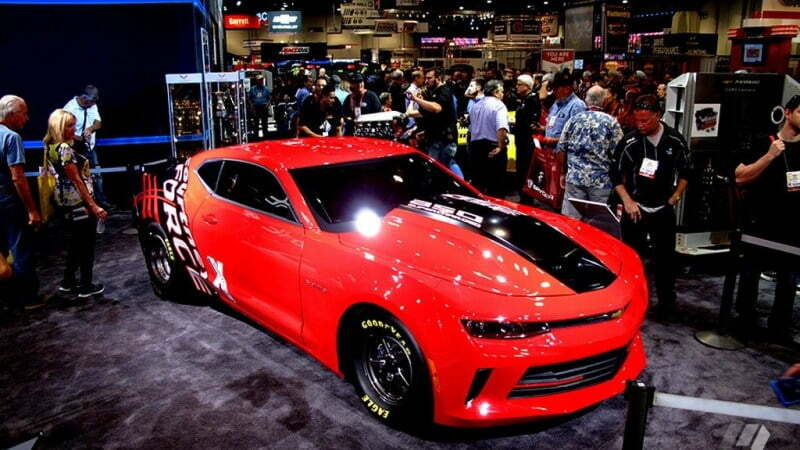 The show car also features a red hot exterior with Courtney Force (a daughter of drag racing legend John Force) signature graphics. 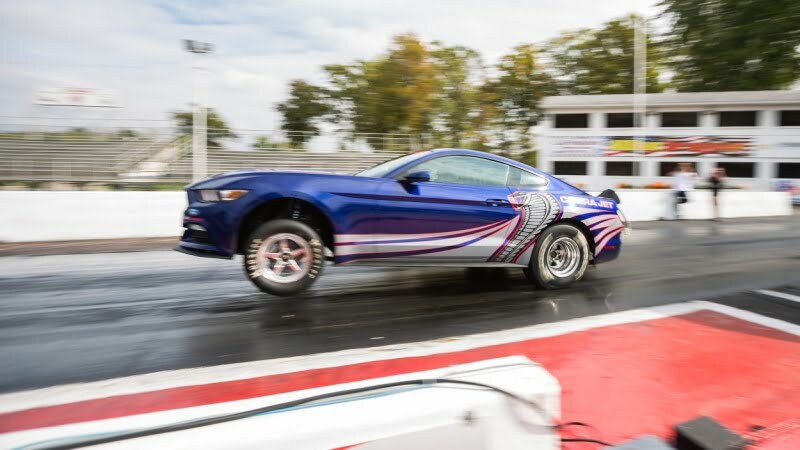 The cars also features wheelie bars and a parachute; along with Goodyear racing tires mounted on lightweight racing wheels. 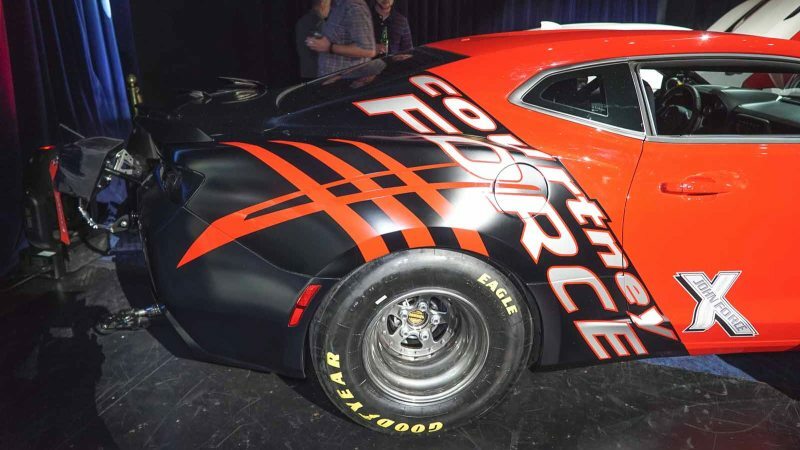 Inside, COPO features NHRA- certified roll cage, lightweight racing bucket seats, five point safety harnesses and a floor mounted shifter. The production COPO (an acronym for Central Office Production Order) race cars will be fitted with racing chassis and suspension components, including a unique solid rear axle System. 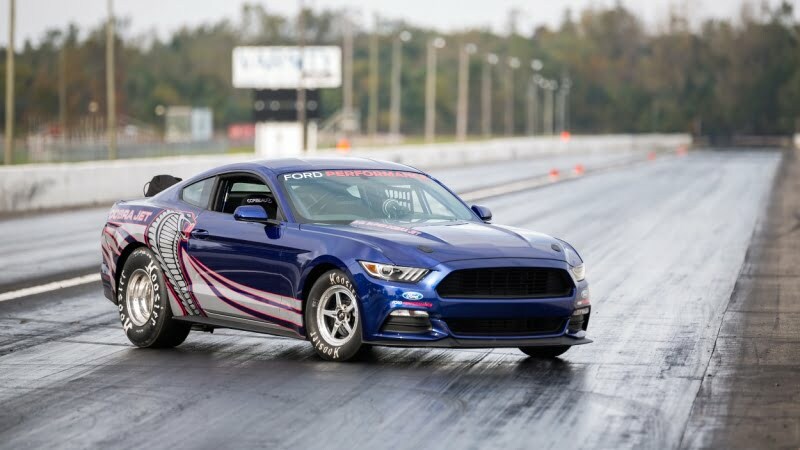 Depending on NHRA Stock or Super Stock race classes, racers can select from a variety of engine options which include a supercharged 350ci (5.7L), a naturally aspirated 427ci (7.0L) and all new LT based 376ci (6.2L) engine. Racers interested in buying one of the 69 COPO Camaro race cars must register at Chevrolet website and then an independent third party will randomly select lucky buyers from the pool of registered customers. A day after Chevy unveiled its COPO Camaro concept; Ford unveiled its limited production latest variant of the Cobra Jet Mustang. 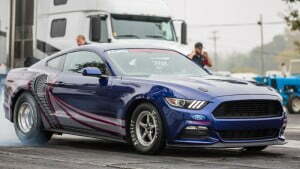 The 2016 Cobra Jet is based upon Ford’s turnkey race programme and only 50 examples will be made. 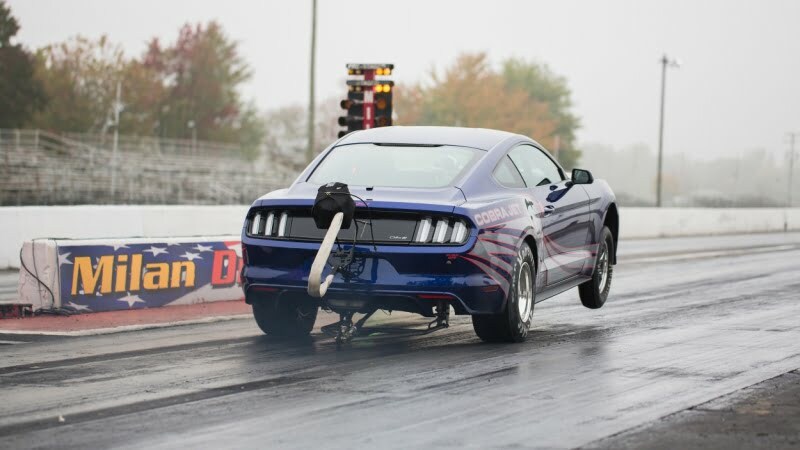 The all new 2016 Cobra jet is equipped with 5.0L V8 engine with beautiful black Whipple 2.9L supercharger mounted on the top. 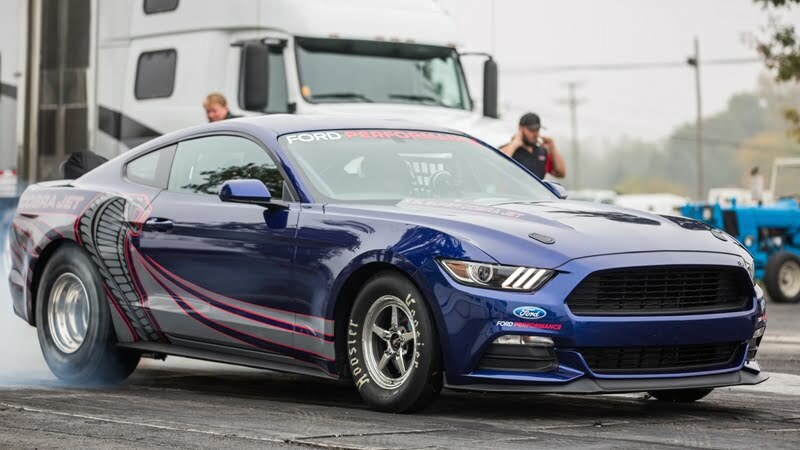 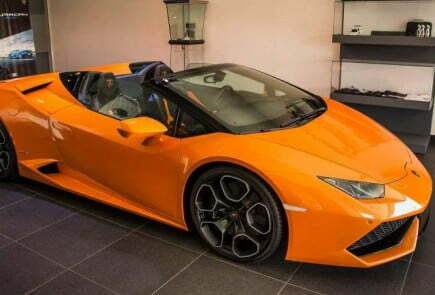 It also features new Coilover shocks and springs, newly designed fuel system, racing bucket seats, a roll cage, lighter brakes, five point race harnesses with a race-prepped automatic transmission. 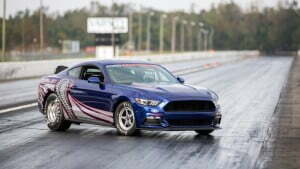 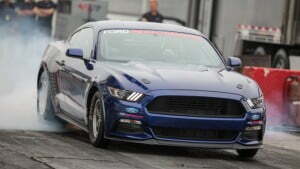 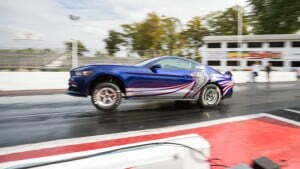 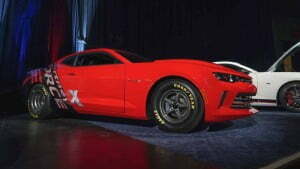 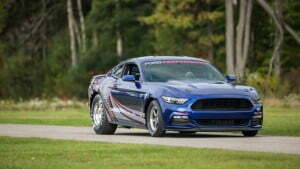 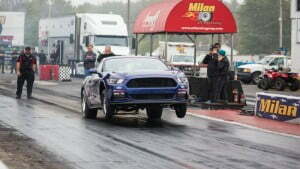 Ford claims that 2016 Cobra Jet uses 75 percent production components coming from stock Mustang GT parts. 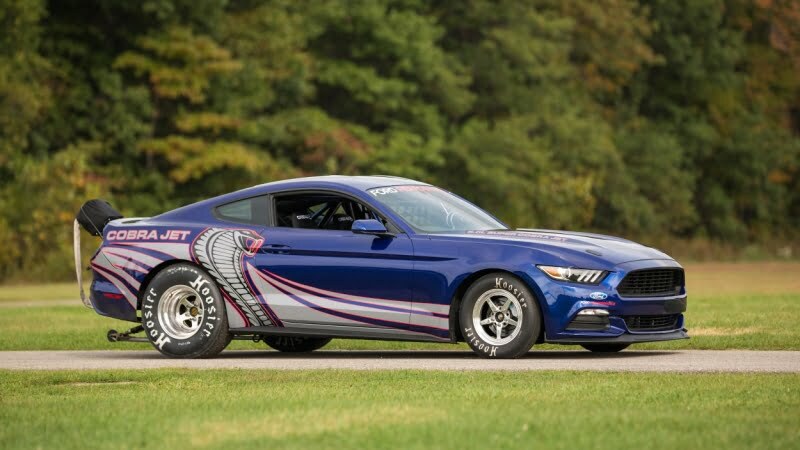 The 2016 Cobra Jet Mustang will cost you around $99,990 with the optional Cobra jet Graphics and Wheelie bars each costing $1,995 additionally. 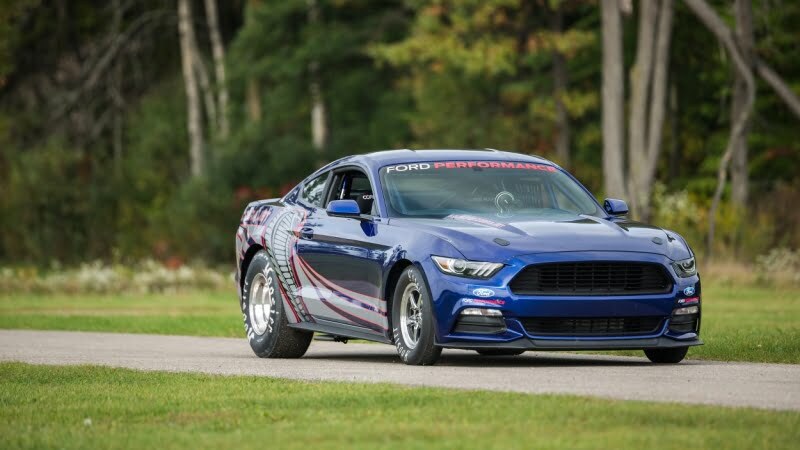 Cobra Jet Mustangs are built at Ford’s Flat Rock Assembly Plant in Michigan and first deliveries are expected to start April 2016.